so, i finally joined facebook- who knew?? it is really kind of fun-quick and easy way to see what is going on. Just one more thing i needed to add to all the other stuff i can't keep up with. Fun for now though. I am adding a picture of my christmas card since i still have to get all the photos off the broken computer's hard drive. 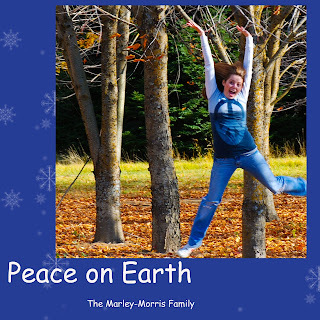 peace on earth is a dream worth dreaming!